Trying to hide something in your yard? Perhaps a vent pipe, or septic cleanout? If so, this Outdoor Essentials® Medium Rock will do the job. This hollow faux rock offers enough room to cover wellheads, electrical boxes and more. 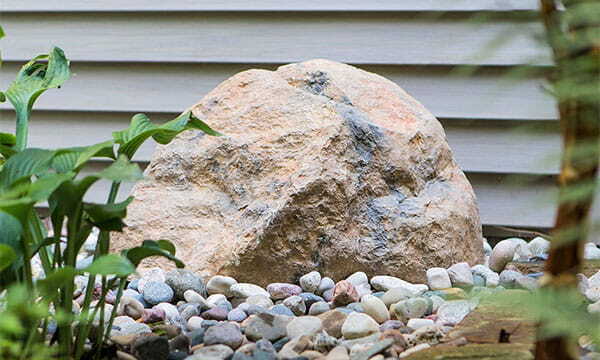 Since this rock looks real, you can use it instead of real rocks in your yard or garden. No one will know it is real except for you. (Don’t worry, your secret is safe with us.) No stakes are needed to secure it to the ground, because it is curvilinear in shape which makes it wind-resistant. Each rock is individually painted with a UV-resistant finish to keep it looking great year after year. This medium rock only weighs 7.5 pounds. That means you can install it, wherever and whenever you want. You have the power. Go rock your yard!